After a long day in the saddle getting one day closer to your destination, the prospect of pumping a couple liters of filtered water into your bottles is less than attractive. 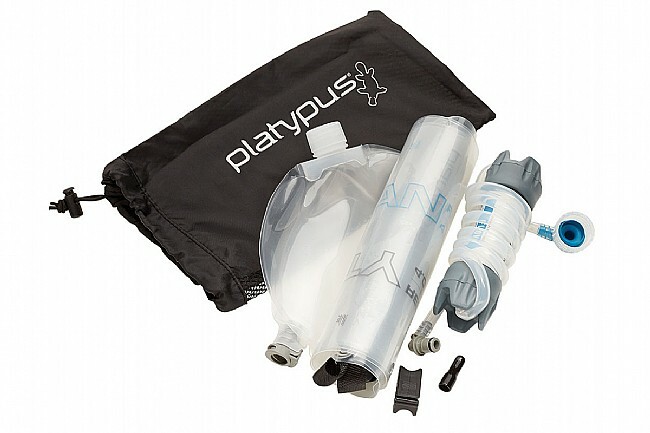 Thankfully, with the Platypus GravityWorks Water Filtration System, you can provide 4 liters of water in just 2.5 minutes of pump-free filtration. 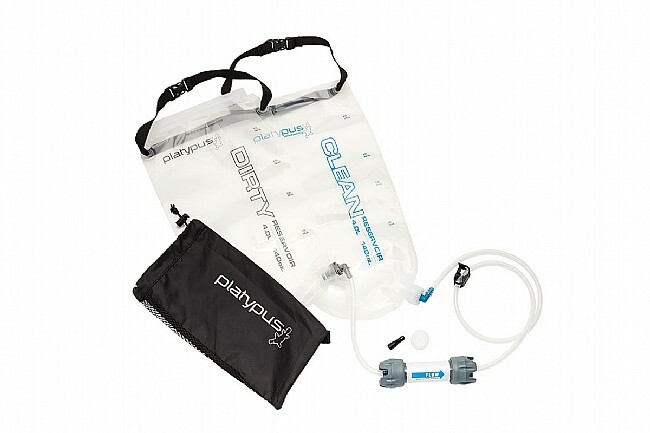 With an ingenious two-reservoir design, using gravity to pull water from the dirty reservoir, through the Hollow Fiber microfilter system, fresh filtered water collects in the filtered reservoir for easy drinking, washing, cooking, or cleaning with large groups. 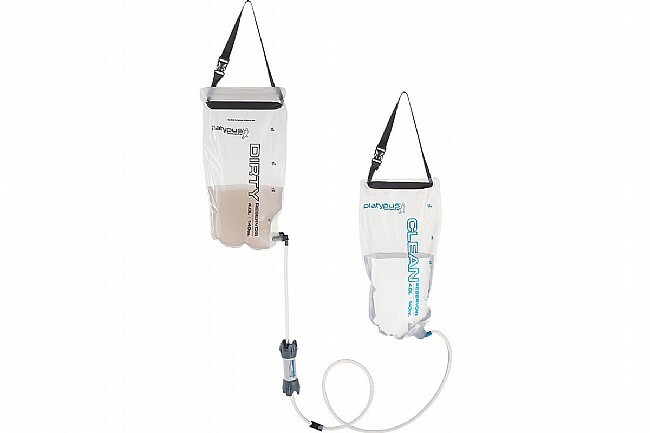 No pumping needed: gravity does the work, filtering up to 1.75 liters per minute. 8 liter (4L dirty and 4L filtered reservoirs) water capacity ideal for large groups. Weighs just 305 grams while stowing smaller than most 1L bottles. 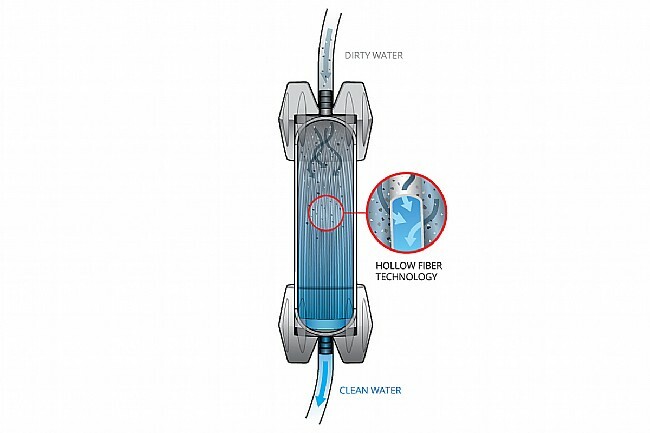 Hollow Fiber microfilter features hundreds of tiny, hollow fibers enabling rapid filtration.